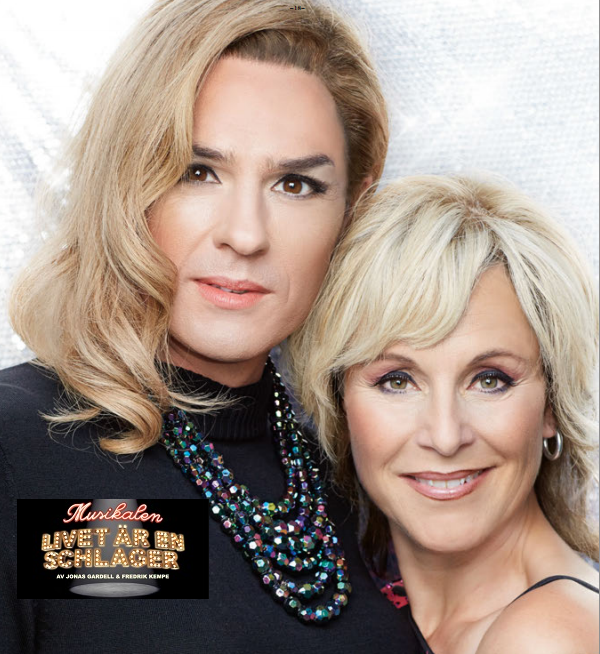 The first picture of Peter as Candy Darling, along with Helen Sjöholm as Mona in the new musical “Livet är en schlager” (Life is a pop song) has emerged. Swedish gay magazine QX, has Peter and Helen on the cover of the September 2014 issue and an interview with Jonas Gardell, writer of the show. Jonas revealed that the show is not based on the 2000 movie of the same name, but is a completely new script. Candy’s role is more developed in the musical. The songs are all new (except one), especially written for the musical by Frederik Kempe. The big finale number from the film “Aldrig ska jag sluta älska dig” (I will never stop loving you” will be in the musical. The musical opens at Cirkus on 11 September 2014. The opening night is completely sold out. Tickets for other performances can be purchased from Ticnet. The show runs until 21 December 2014.